Today we’re going to answer the most asked grilling question. How do you make the perfect grilled steak? Well, for starters, practice makes perfect. You will probably have your share of duds before you reach the pinnacle of perfection. But, that doesn’t mean you have to start with inferior products. Like I said, practice makes perfect. To grill the best steak you’ve ever tasted, you need to use that grill more than a couple of times each year. So, stock that freezer with the best cuts of beef for the job and let’s get down to brass tacks. The first thing is to choose your meat. I won’t lie to you—beef is expensive. 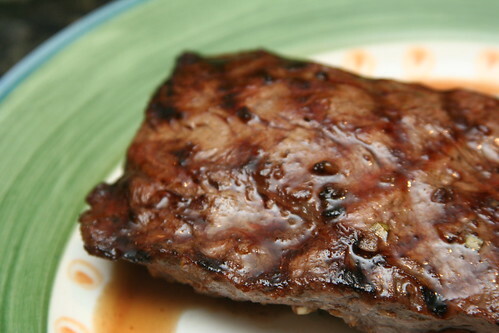 Those thick steaks you see on the commercials will cost a pretty penny, but, not to worry. You can find what you need at a butcher shop or the meat section of your favorite grocery store. The best meat for grilling is labeled USDA Prime. This beef is marbled which means that there are veins of fat running through the meat. Prime is aged for a several days so that it is perfect for cooking. If you can’t afford the prime cut of beef, move on over to USDA Choice. It is a little cheaper but just as marbled and delicious on the grill. Now that we know the grade of meat we are looking for, we need to know which types of beef cuts are best on the grill. I personally love a good New York strip steak or a T-bone steak. They grill up nice and tender so they melt in your mouth. Porterhouse and sirloin steaks are also good. Any steak with a bone in it will need longer cooking for the meat next to the bone. If you choose marinate your steak. A good hour in the fridge should do it. With the proper cuts of meat, this is enough time for the meat to soak up the flavor. Let the meat come to room temperature before grilling. When you are just starting out, don’t get too ambitious. By this I mean, start with a thinner cut of meat. Don’t throw a two inch thick steak on the grill like the king of the world. There’s a good chance that it will be tougher than shoe leather when it’s done. Stay around an inch or less in thickness and practice before moving up to the big leagues. Steaks that are cherry in color are ready for grilling. Avoid that marked down meat that is turning a shade of gray or brown. If you’re not sure what kind of meat to get, ask the butcher. They can give you great advice on the best cuts and the best buys. With meat in hand, light the grill and let the good times roll.